Do you have assets that would make a difference to someone or something? If the answer to both of these is yes, write a will. Pondering what will happen to your belongings and assets when you’re no longer here doesn’t need to be a gloomy subject. It will provide you with security, peace of mind and a great opportunity to take stock, consider your successes and the life/empire you have built for yourself. It’s an opportunity to leave funds to charities or causes particularly close to your heart. If you happen to be a religious or spiritual person, it’s also important to express your preference as to what kind of funeral service you would like. The absence of a will can mean heartache, financial loss, legal costs and considerable stress at the worst possible time for those you leave behind. Making a will is really important if you care what happens to your money and your belongings after you die. If you don’t make one, the law and tax man decide who gets what. And this outcome may not be the one you (or your relatives) want. If you know children that you’d like to help by passing your remaining capital to when you pass away but you wouldn’t want them to have access to it at the age they are currently, this isn’t an issue. When leaving funds to ‘minor beneficiaries’, you can create trusts. The money goes into these, until the beneficiaries are able to access the funds themselves (as instructed by you in your will). You’ll state the age at which you want the funds to be released. You can also assign trustees who’ll have control over the trust until this time. Trustees have varying ‘powers’ as decided by yourself. If you want your assets to go to your partner but you’re not legally married – you absolutely need to write a will. Common law marriage is the idea that cohabiting couples have the same legal rights as married couples or those in civil partnerships. If you live in Scotland, check current laws there. As of yet, common law marriage doesn’t exist in the UK. If you aren’t married, the partner left behind won’t automatically have any right to property or assets such as your shared home. Making a will is the way to ensure your partner is considered as part of any inheritance you leave. There are a few ‘trigger events’ that can change your inheritance plans and will requirements such as starting a business, buying property or having children. There are plenty of free online resources to help you write a will. It’s often best to seek legal advice to ensure all the necessaries are included, ensure your will is valid and avoid disappointment. IMC’s will and estate planning experts will advise and assist you. If you want to get started independently first, write a list of your residuary estate (your belongings and property) and decide who you would like to leave each item to before you come and see us. If your estate is simple e.g. you’re leaving everything to your partner, you may be able to do this yourself. If it’s more complex, e.g. the larger your financial affairs, and the longer your list of beneficiaries, the more sensible it is to get professional advice. Some lawyers specialises in wills and probate (applying for the legal right to deal with someone’s property, money and possessions) and these are usually your very best option. Check they are licensed with the relevant professional body, such as the Solicitors Regulation Authority or Law Society. Institute of Professional Will writers. Professional will writers may not be regulated in the same way. Some charities and specific campaigns offer free will-drafting services to encourage will making and charitable legacies. Some banks offer will-writing services and advice about estate planning, sometimes this service is not free. 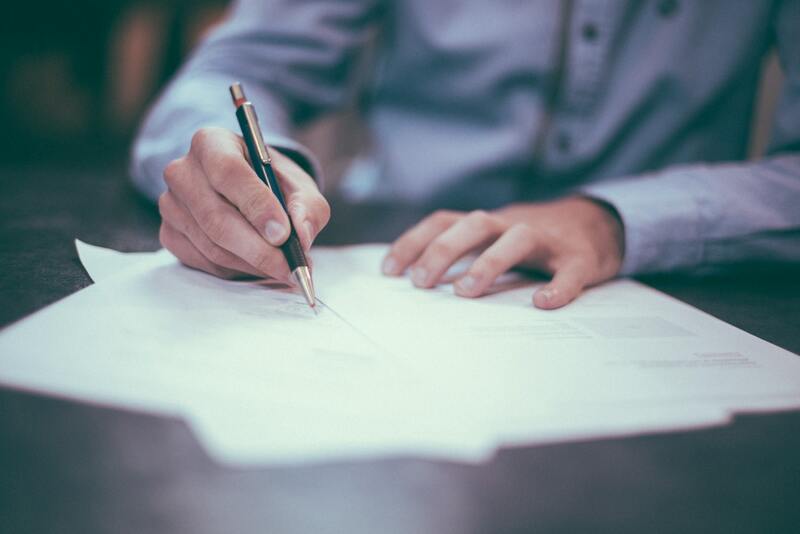 You can write your will yourself, but you should get legal advice to ensure that your will not only valid but is interpreted in the way you intended. If you decide to make your own will, it’s best to seek advice first. However you choose to write up your will, it needs to be valid – otherwise it will be no more use legally than if you had not written one. There are numerous legal requirements that if not met, may invalidate your will. If you marry or remarry – make another will. The old one will no longer be valid. Again there are multiple life events that will trigger necessary changes to your will. Once I’ve created it, can I update it? You can add amendments or changes after you’ve created your will (these will be subject to the same requirements as the original document). At IMC, we will update your will once a year for free as part of your original payment. Our skilled advisors provide a will writing service by supporting you sensitively through the process of making a Will. We also offer expert estate planning advice and solutions from our estate planning specialists. Our aim is to ensure that you end up with the peace of mind that comes from knowing your loved ones are protected. For advice on how you can plan for your family’s future, get in touch with the IMC team.